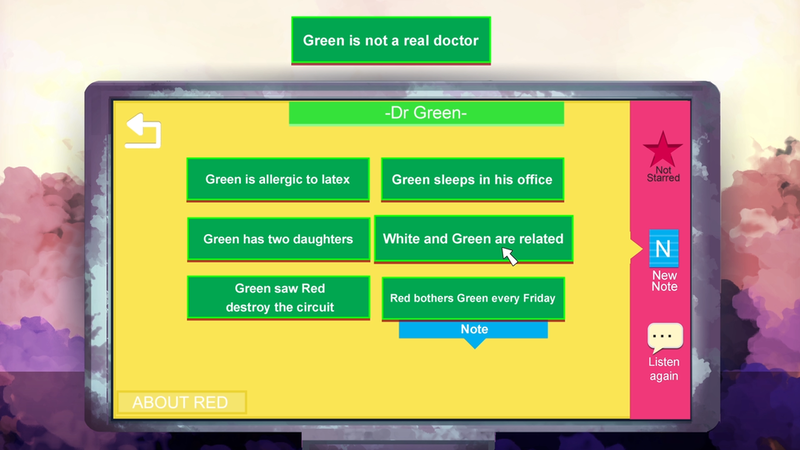 In "How Do You Know Mr. Blue" you take on the role of a private investigator. You've been hired by the megacorporation C-Corp to find their missing employee "Mr. Blue", who C-Corp is desperate to get back. You will interview the employees of C-Corp in an attempt to squeeze out everything they might know about Mr. Blue's disappearance. But it will not be easy. They will be evasive and disagreeable, not appreciating interruptions to their work. Your job is to make them talk regardless. 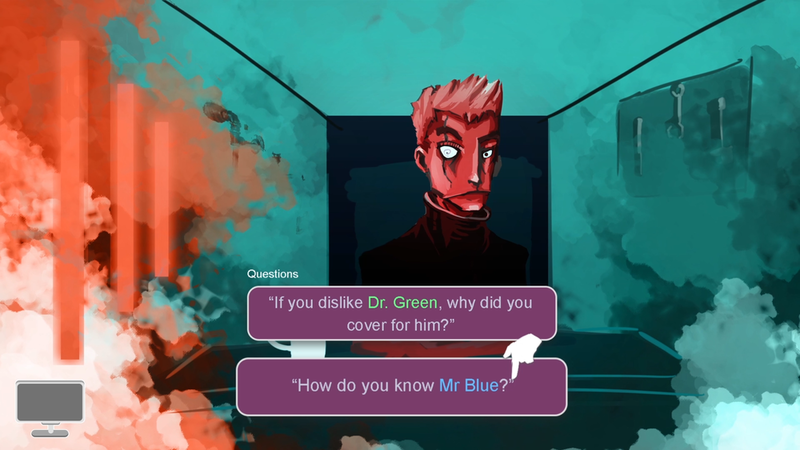 Discover contradictions in their statements during the interviews, confront them about it and find out the truth about Mr. Blue and the mysterious C-Corp.
Get updates first! Sign up to our newsletter!